Three years ago Golf University and Golf Getaway CEO Andrew McCombe invited Dan McLaughlin from www.TheDanPlan.com to co-host a few episodes of Golf Getaway on the Gold Coast. At the time Dan was 5 years and 6400 odd hours into an incredible quest to test the 10 000 hours of Success Theory made famous in the book The Outliers – by Malcolm Gladwell. Not long after the episode of Golf Getaway airing (see episode below…) Dan was struck down by a potentially career / project ending back injury and for someone who had dedicated so much of their life to the pursuit of Golf Mastery and possibly a place on the PGA Tour – Dan was in a very dark place. Needless to say Dan’s project was put on hold and he had to reinvent himself and his life…which I am glad to say he has done with a vengeance. As is normally the case – time is a great healer and Dan is finally in a space in his life to discuss what happened to the Dan Plan. I recently caught up with Dan and recorded an exclusive interview that not even Dan has told his many fans and followers. Dan mentioned he tried over 25 times to write a completion blog for the Dan Plan but no matter how hard he tried he couldn’t bring himself to write the words. 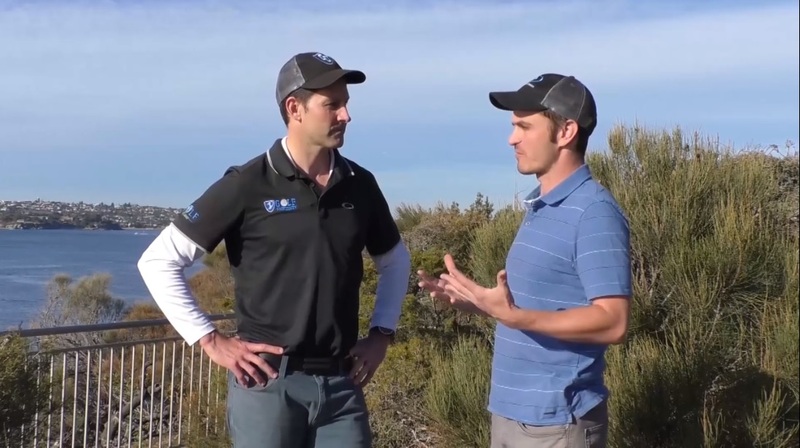 In this exclusive The 19th Hole Channel interview Dan shares some great insights into how to overcome adversity in golf and life and after spending some time in Sydney recently Dan is now fully aware that The Dan Plan is not over at all, it has just changed forms for now and he never rules out making a comeback, although it will be a lot different next time around.